A photograph of an Industrial Mental Health seminar. Menninger sponsored many of these seminars over the years to educate leaders in mental wellness. 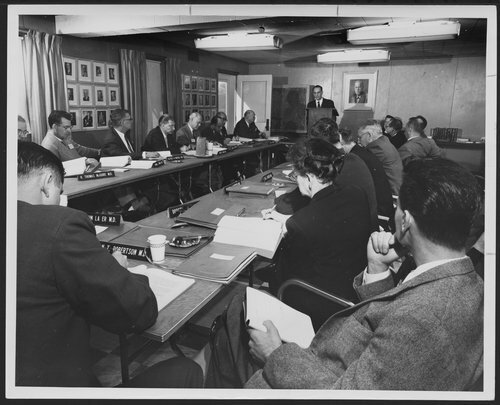 Industrial mental health seminars at the Menninger Foundation Topeka, Kansas - This photograph shows an Industrial Mental Health Seminar for Physicians in March, 1956. Lewis L. Robbins, M.D. is at the lecturn.